CEER is a Collaborative Effort of the leaders of the National Conference on Ecosystem Restoration (NCER) and the Society for Ecological Restoration (SER). It will bring together ecological and ecosystem restoration scientists and practitioners to address challenges and share information about restoration projects, programs, and research from across North America. Across the continent, centuries of unsustainable activities have damaged the aquatic, marine, and terrestrial environments that underpin our economies and societies and give rise to a diversity of wildlife and plants. This conference supports SER and NCER efforts to reverse environmental degradation by renewing and restoring degraded, damaged, or destroyed ecosystems and habitats for the benefit of humans and nature. CEER is an interdisciplinary conference and brings together scientists, engineers, policy makers, restoration planners, partners, NGO’s and stakeholders from around the world actively involved in ecological and ecosystem restoration. 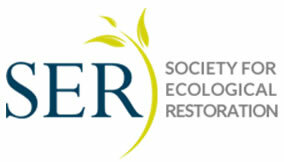 NCER and SER have years of experience organizing separate conferences on restoration. 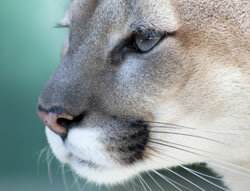 NCER was previously held in Orlando, FL (2004), Kansas City, MO (2007), Los Angeles, CA (2009) and Baltimore, MD (2011). NCER brings together scientists, engineers, policy makers, planners, and partners from across the country actively involved in ecosystem restoration. 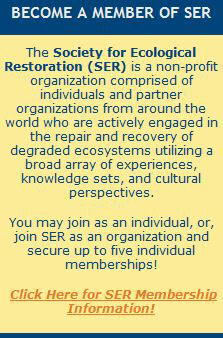 Founded in 1988, SER is a global network of restoration practitioners and researchers that has organized or co-hosted 18 conferences on ecological restoration in the U.S., Mexico, Canada, Europe, and Australia. Now NCER and SER have agreed to combine our energies and talent to produce a large conference covering restoration topics relevant to private sector, government, and non-profit restoration constituents throughout the country. From the Chesapeake Bay to the Great Lakes to Puget Sound, the federal, state, and municipal governments spend billions of dollars annually on large and small restoration projects. But New Orleans and the Gulf of Mexico are world renown examples of the need and power of restoration. The 2014 Conference on Ecological and Ecosystem Restoration (CEER) will be held in New Orleans, Louisiana, a fitting locale as the Gulf Coast ecosystem continues to recover from the 2010 Deepwater Horizon Oil Spill. In response to the oil spill, and aided by funding from responsible parties, Louisiana and the Gulf Coast region is in the midst of the implementation of arguably the Nation’s largest ecosystem restoration effort to date. 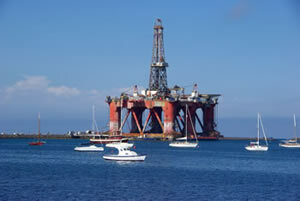 The Resources and Ecosystems Sustainability, Tourist Opportunities and Revived Economies of the Gulf Coast States Act (RESTORE Act) directs 80 percent of the Deepwater Horizon oil spill Clean Water Act fines to the Gulf Coast states of Louisiana, Texas, Mississippi, Alabama and Florida. In addition, the Natural Resource Damage Assessment (NRDA) process will result in the implementation of additional ecosystem restoration projects intended to restore damaged natural resources to their pre-oil spill conditions. These efforts will result in billions of dollars being dedicated to coastal restoration projects intended to mitigate the impacts of one of the worst man-made environmental disasters the Nation has experienced. 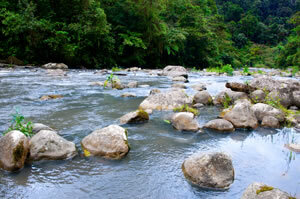 address the latest innovations, methods, and tools for combating ecosystem and ecological degradation. explore the roles of policy, planning and science in establishing goals and achieving successful and sustainable ecological and ecosystem restoration, and assessing and incorporating ecosystem services into the public and private decision-making process. share experiences and explore the roles of state-of-the art science, methods, tools, processes, engineering, planning and policy as applied to ecological and ecosystem restoration efforts.